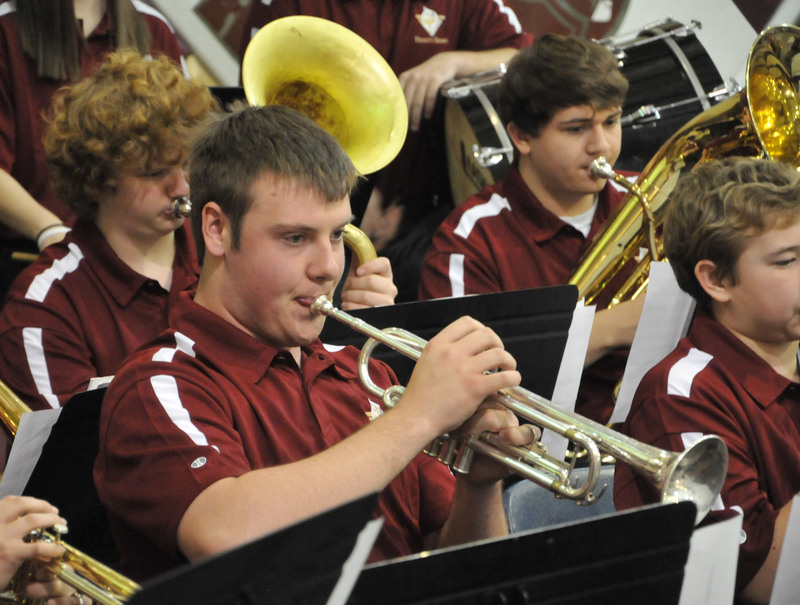 While most schools nationwide observe Veterans Day with a day off from classes, Trinity Christian School was in session. 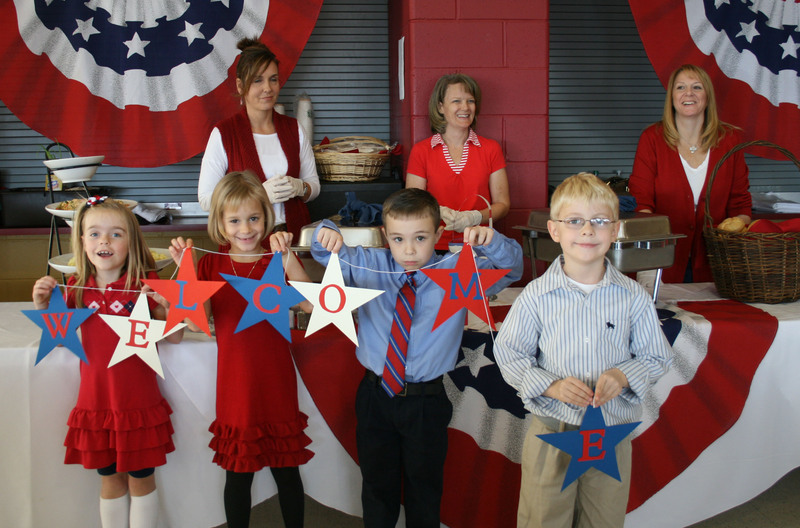 Carrying on a tradition that originated at Alliance Christian School and has continued following the merger of Alliance and Trinity, the administration, faculty, staff, students, and parents of TCS honored community veterans with a special luncheon and program. Coordinated by the Parent Service Organization and sponsored by Trinity’s Partner In Education, the Sabraton branch of My Bank!, area veterans were treated to a delicious lunch, catered by The Lakehouse, where they were joined by student representatives from each grade level. 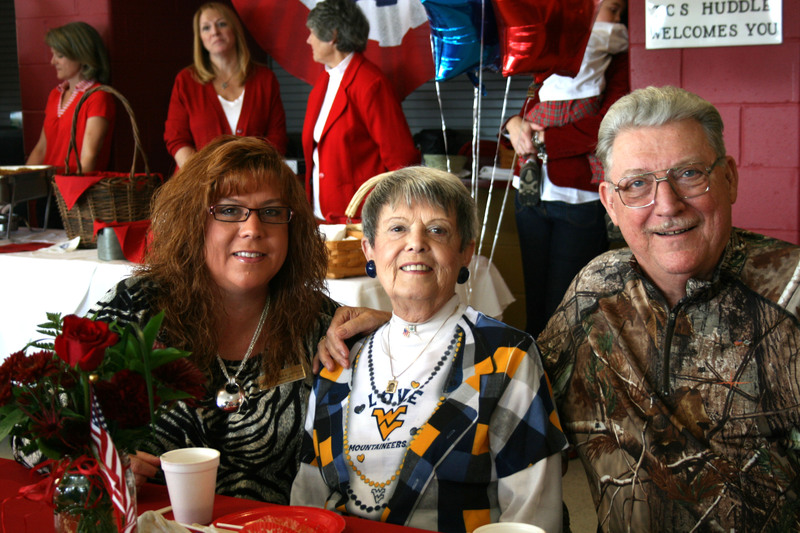 While students have always participated in the program, their presence at the luncheon was based on feedback from previous events when veterans expressed a desire to mingle with the students. Based on the lively interactions between guests and the students, it was a mutually beneficial experience. One sixth grade student was visibly moved by the veterans he met. “I thought it was really nice to go out and talk with them and hear their stories. Instead of just the usual school day, I was able to learn about them,” he said. An admitted history buff, he retold how he discovered that there were 4 branches of the military represented at his table alone. During their conversation, he met two brothers who were Navy veterans from World War II, one of whom was a tail gunner who ran 30 missions over Germany during the war. These stories need to be passed on, so that the men and women who have served, and are serving still, continue to be honored and remembered. Every decoration and menu item, every song performed and tribute made, all served one purpose: to give honor and thanks to those who have given sacrificially to preserve the freedoms that we hold dear. Veterans and their families were greeted by these smiling faces. 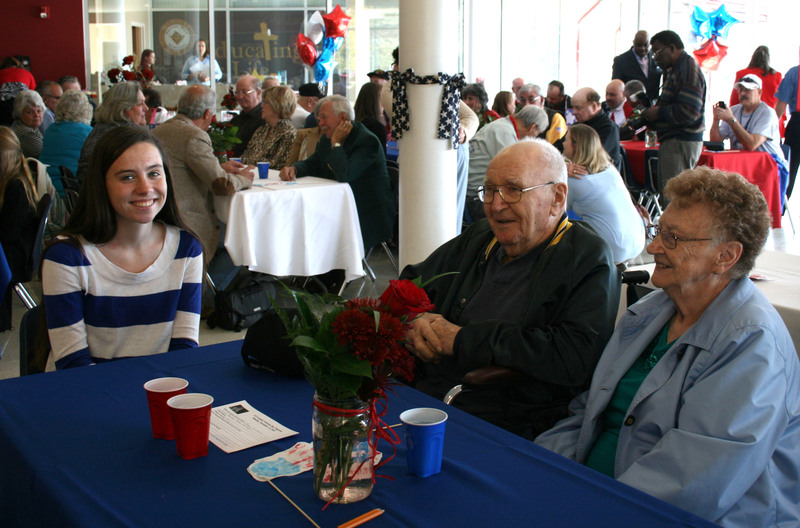 One of the TCS student representatives visited with a veteran and his wife, as they wait to be served lunch. Chele Varner, Community Office Manager of My Bank! in Sabraton, spent time with her father, who served in the Army, and her mother during the luncheon. 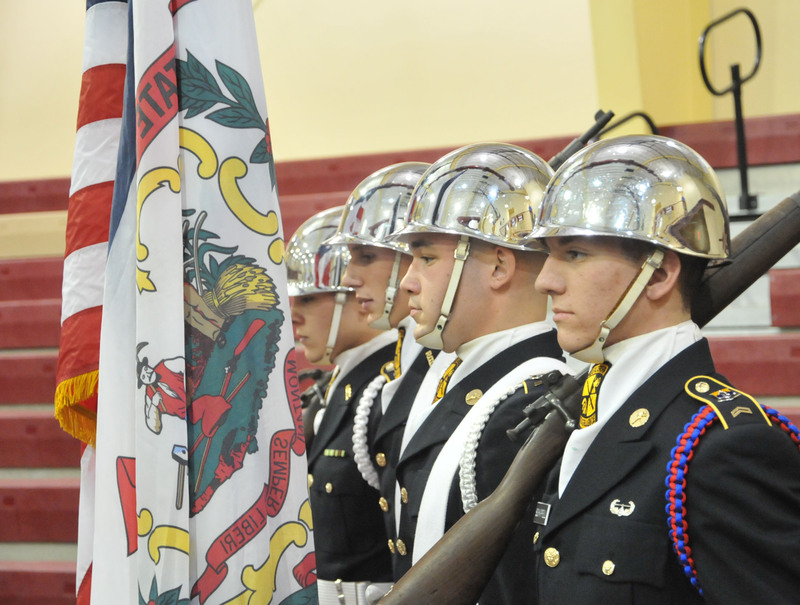 The WVU ROTC colorguard presented the colors for the program. 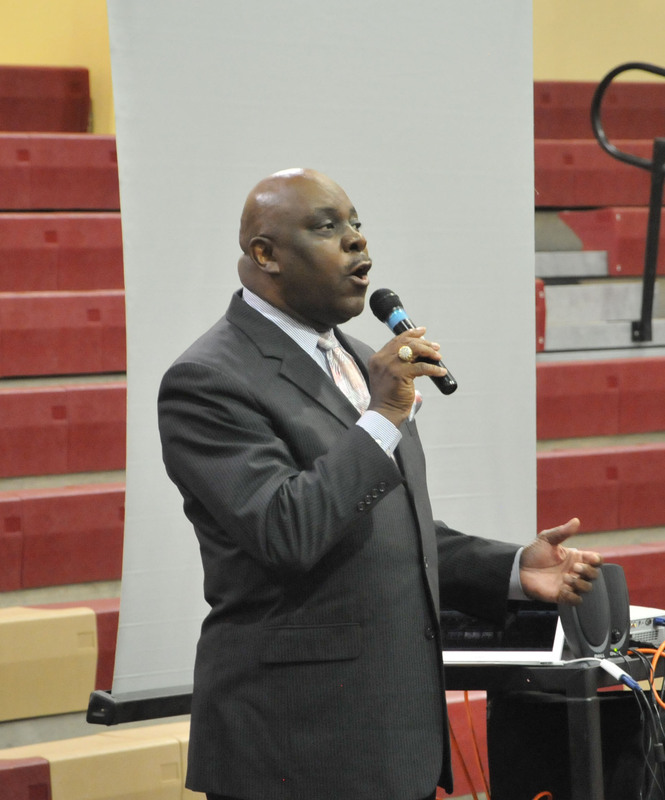 Bobby Nicholas, a well known Morgantown singer, shared several beautiful songs during the luncheon and program. 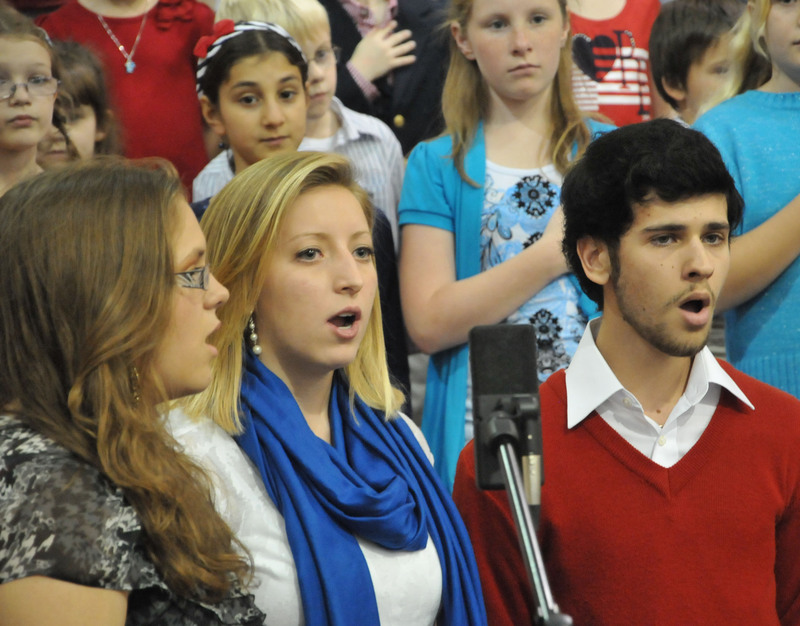 The Trinity bands and choirs performed tributes in song for the veterans and their guests.